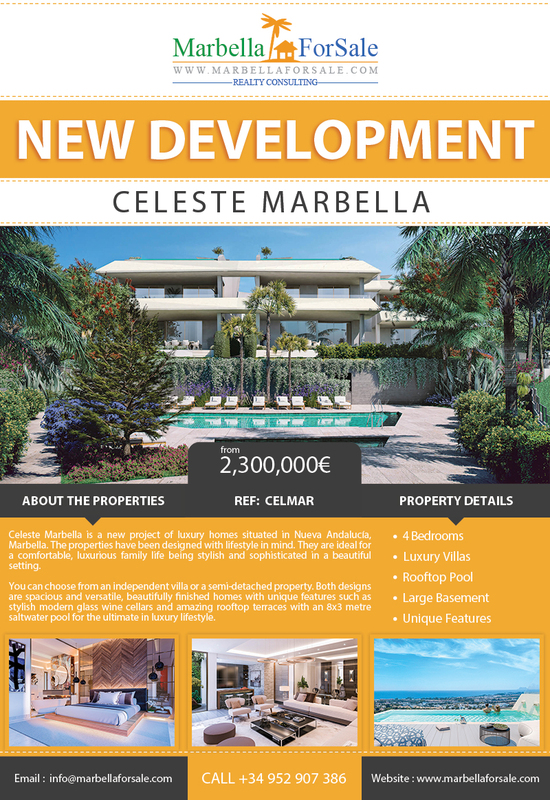 The project is situated only 200 metres from the golden beaches of Punta Paloma in Manilva, only a short drive from the marina in La Duquesa. The communal areas include 2 large pools, a 260m² state-of-the-art wellness area featuring 2 indoor pools, a sauna, lounge area and gym. 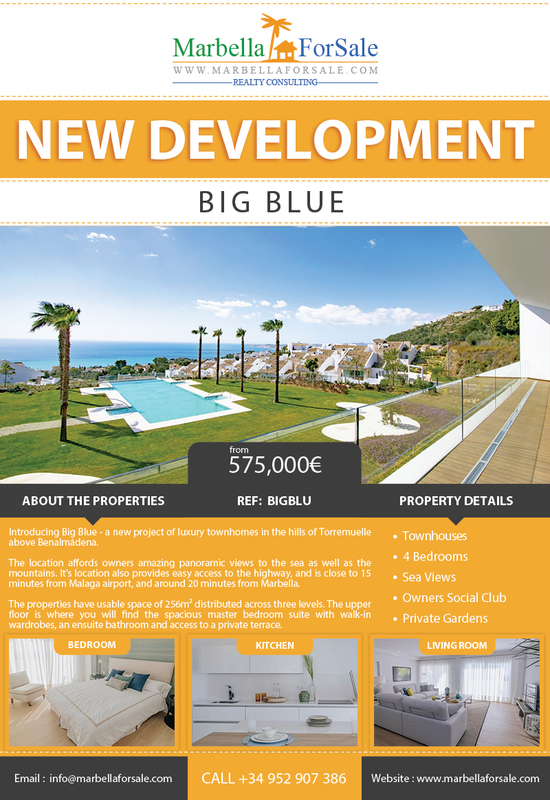 Introducing Big Blue – a new project of luxury townhomes in the hills of Torremuelle above Benalmádena. 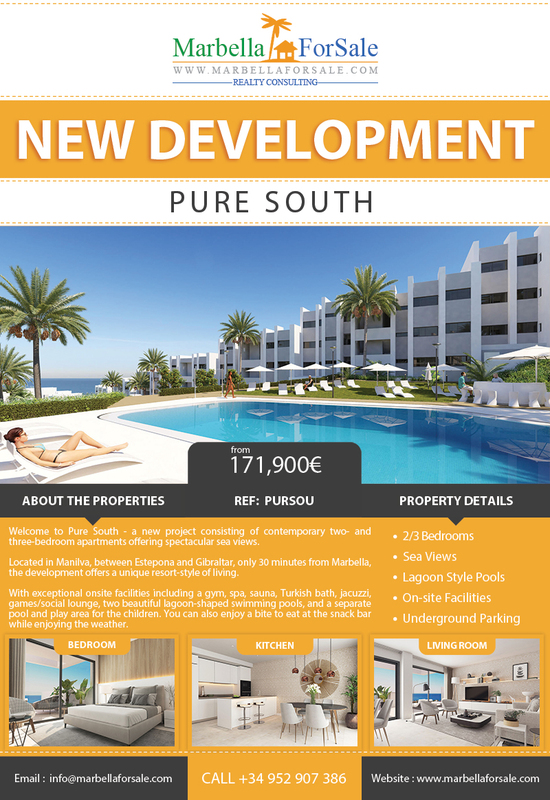 The location affords owners amazing panoramic views to the sea as well as the mountains. 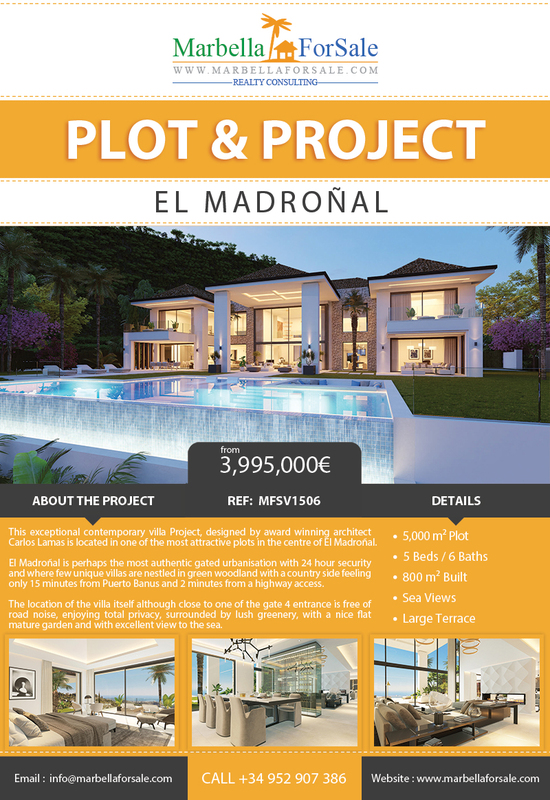 This exceptional contemporary villa project, designed by award winning architect Carlos Lamas is located in one of the most attractive plots in the centre of El Madroñal. 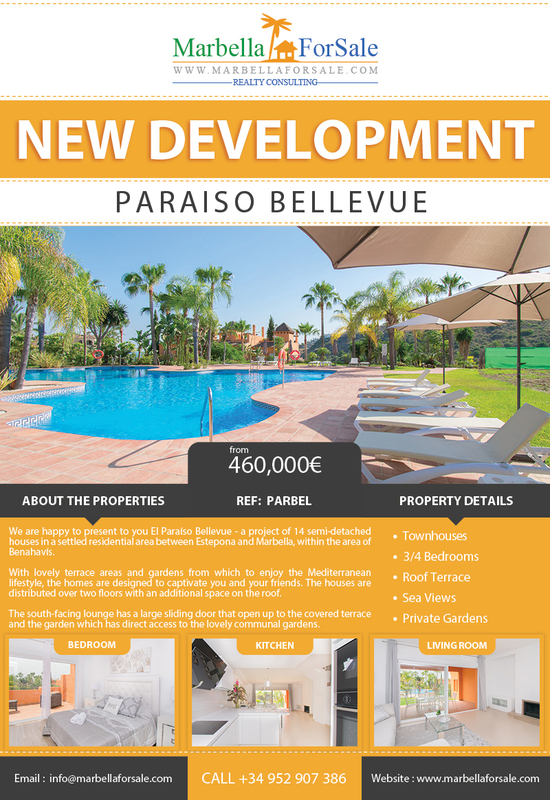 Full construction drawings and licence available. The plot can also be acquired separately. 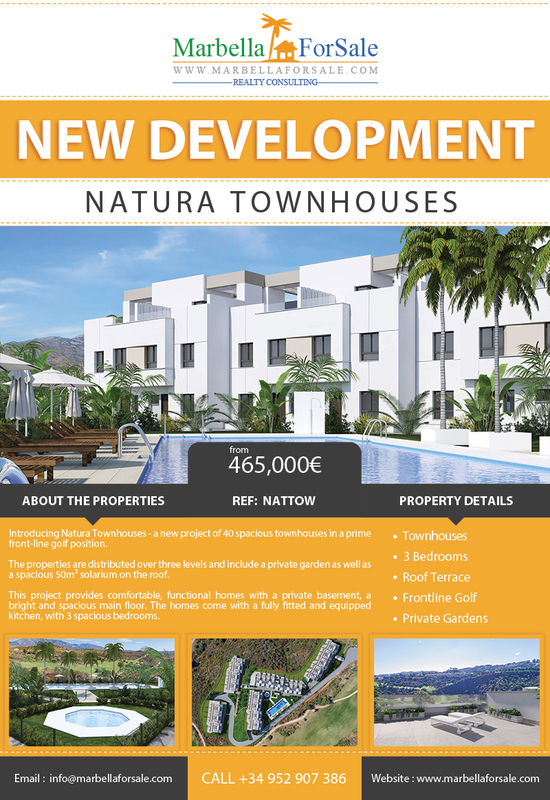 Introducing Natura Townhouses – a new project of 40 spacious townhouses in a prime front-line golf position. 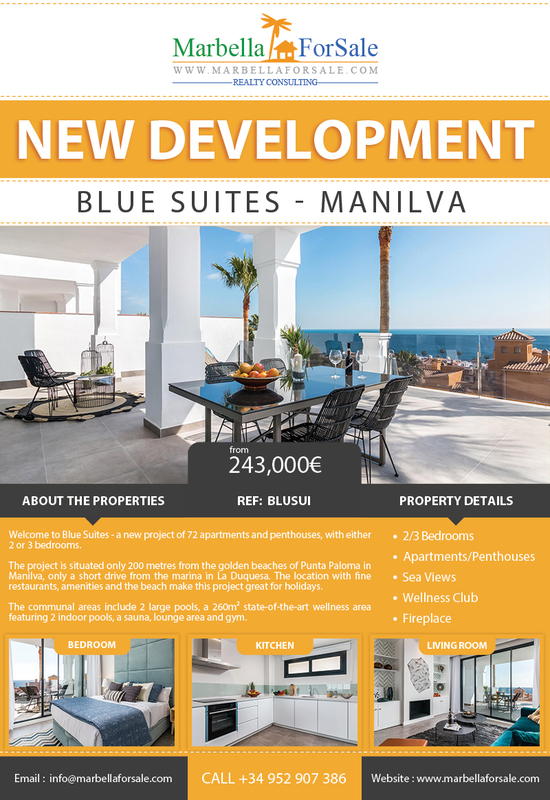 The properties are distributed over three levels and include a private garden as well as a spacious 50m² solarium on the roof.